In love we find out who we want to be. In war we find out who we are. With courage, grace and powerful insight, bestselling author Kristin Hannah takes her talented pen to the epic panorama of WWII and illuminates an intimate part of history seldom seen: the women’s war. The Nightingale tells the stories of two sisters, separated by years and experience, by ideals, passion and circumstance, each embarking on her own dangerous path toward survival, love, and freedom in German-occupied, war-torn France–a heartbreakingly beautiful novel that celebrates the resilience of the human spirit and the durability of women. It is a novel for everyone, a novel for a lifetime. I took that synopsis from Goodreads. This is a historical fiction that has a 4.5 star rating and I have heard nothing but good things about it! I decided it would be a good one to start our 2018 book club out with! I am looking forward to it! *Remember if you are local contact me via email and I will send you a monthly update with the book and when we will be discussing. 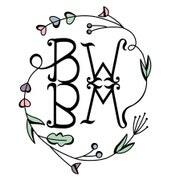 * If you are on Instagram or Facebook and want to be apart of the group chat, find me @bookwhit and ask to join the Bookwhit’s Bookclub.